Whether you’re celebrating Veterans’ Day or the Fourth of July, or just in the mood for the Red, White, and Blue, the World’s Largest “Patriotic” Gummy Bear!™ will fill you with explosive flavor. Cherry, Berry Blast, and Blue Raspberry are stacked to create this made in the USA treat! 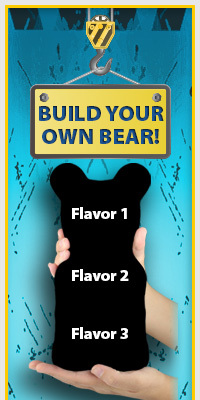 A true American ORIGINAL, the World’s Largest “Patriotic” Gummy Bear!™ is almost 5 pounds of savory sweetness.